Over the past few years, the world of high-quality personal audio has experienced an explosion, due partly to the success of Beats by Dre headphones, which seem to have inspired hope for an industry that previously failed to even attract a fleeting glance from the millennial generation. And while it is exciting to see consumers reaching for brands in the Apple store aside from Beats—which is good news for manufacturers such as Bower & Wilkins, Bang & Olufsen, and Sennheiser—the headphone market has become flooded. For one manufacturer in Brooklyn, business hasn’t been this good since the 1980s. The Grado RS1i headphones have been around for a few years—which feels like an eternity in the current personal-audio environment. At $695, the RS1i phones certainly qualify as expensive, but with competing products from the likes of Sennheiser, Stax, HifiMAN, Audeze and Beyerdynamic ranging from $700 to $2,000, the Grado headphones actually do look like a bargain. The RS1i phones are dynamic open-ear transducers. 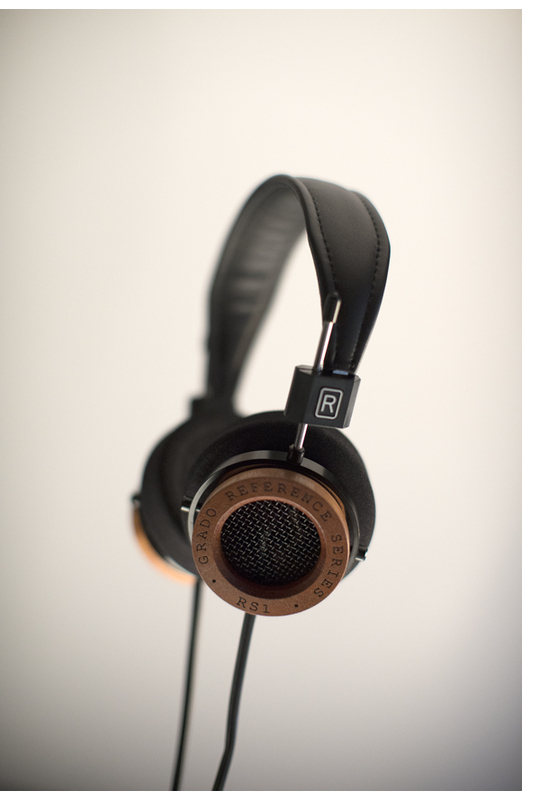 They weigh in at a paltry 9 ounces and feature handcrafted mahogany earpieces. They come with an 8.5-foot cord terminated with a 1/4-inch stereo plug, but the package also includes a 15-foot cord, and a 1/8-inch mini-plug adapter. Not everyone loves the traditional Grado flexible leather-covered headband, but I find it to be amazingly comfortable on my large head. The metal height adjusters make it easy to fit the headphones and I really like the ability to rotate the earpieces 360 degrees so that you can lay them flat in a laptop bag or suitcase. The foam earpads are removable (and there is a great deal of discussion online about how using different sized earpads affects the sound quality). 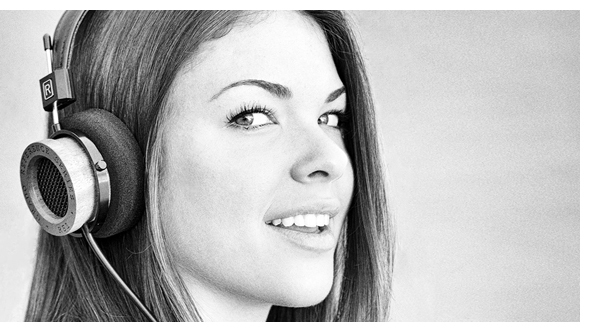 All of the Grado designs feature a vented diaphragm with a large air chamber that extends the bass response. 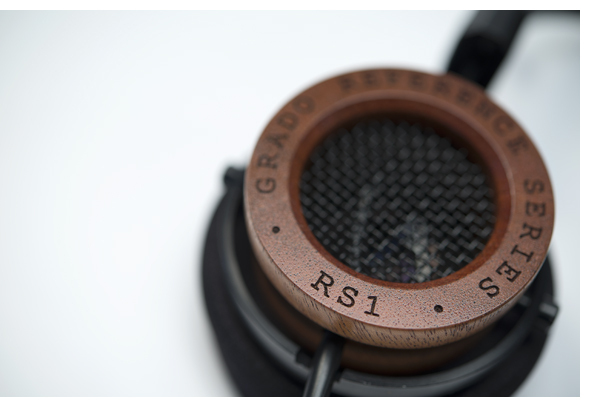 The proprietary voice coils are manufactured from Grado’s long-crystal, oxygen-free copper. The diaphragms are manufactured from a low-mass polymer and they utilize high-powered neodymium magnets for higher sensitivity, making the 32-ohm RS1i phones extremely easy to drive. Although the headphones sound a lot better with a dedicated amplifier, smartphone and tablet users will have zero difficulty driving them. Every brand of headphone (at least the good ones) has a distinct house sound; Grado is no exception. Naysayers have often criticized Grado headphones for an overly ripe midrange, which allegedly obscures layers of inner detail that more neutral-sounding (and more expensive) examples present with breathtaking clarity. While the RS1i phones may not place all of your favorite music under a microscope, exposing every last wart in the recording, they are certainly more than capable of unraveling the complexity of large symphonic works. They are equally adept with stripped-down folk and blues recordings, leaving only the space between you and the performers. Grados do detail; they just do it with dirtier hands and some extra cheese—this is Brooklyn we’re talking about. The Best of John Fahey 1959–1977 is a wonderful compilation from the eccentric guitarist, whose unique picking style is a mixture of blues, folk, and country. “Sunflower River Blues” and “Poor Boy, Long Ways from Home” showcase Fahey’s technique and the disquieting tone of his music. The RS1i phones are more than up to the task, putting real meat on those notes and allowing them to decay in a manner that makes Fahey seem hauntingly present between your ears. These headphones get tone right, and do so with remarkable consistency. Whether you happen to favor Mark Knopfler over Eric Clapton, or Wes Montgomery over Grant Green, the Grados put sufficient distance between the artists and make each of them stand out. When it comes to the midrange, everything that has ever been written about the rich, velvety and colorful presentation of Grado headphones and phono cartridges rings true. Vocals have a palpable sense of realism that leans toward the darker, more romantic side of the spectrum. 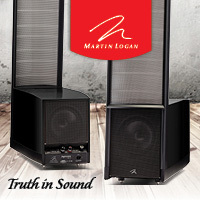 While that may not be everyone’s bottle of root beer in this era of sterile-sounding headphones and Bluetooth-enabled loudspeakers, it’s far less fatiguing if you plan on listening for extended periods of time. Modern pop recordings, such as Rhye’s Woman, Laura Mvula’s Sing to the Moon, and Lana Del Rey’s naughty Born to Die, benefit tremendously from the RS1i’s warmer and rather bold presentation. The title track of Del Rey’s second studio album, for example, pulsates with the intensity from the open-air design of the Grados. But not everything about the RS1i headphones is tidy or neat. They suffer from a degree of wooliness in the bass if pushed too hard—and push I did with the 24-bit/96-kHz versions of Green Day’s American Idiot and Rush’s Clockwork Angels. The Green Day tracks “Jesus of Suburbia” and “Give Me Novacaine” are demanding for most full-range loudspeakers to pound out, and while the RS1i phones preserve Mike Dirnt’s bass licks at moderate levels, they do lose some low-end definition when I crank the volume. As long as you keep the volume at a sane level, the RS1i phones have remarkably taut and well-defined bass that has me listening to Daft Punk’s Random Access Memories and Deadmau5’s 4×4=12 all night long. Electronic and dance music usually causes me to run from the room screaming (unless it starts and ends with Kraftwerk or Tangerine Dream), but these headphones succeed at hypnotizing me to the point that I venture onto eMusic to expand my collection. The RS1i phones do an excellent job from a spatial perspective, though I have heard greater soundstage depth from the more expensive Audeze LCD-2 and HiFiMAN HE-500 planar magnetic headphones, and the AKG K702s (which were my long-term headphones until they mysteriously disappeared from a hotel room in 2009). Grado’s top end is generally pretty smooth sounding, but I did experience some hardness in the upper midrange and lower treble for the first 50 to 60 hours before that began to diminish. These phones are slightly cold out of the box, which you’ll notice with vocals, horns and cymbals. And while, without a dedicated amplifier, the Grados don’t exhibit that ultimate level of airiness that other headphones are capable of, they are still way above average in that department when plugged into a source with lossy downloads. Very much like the colorful neighborhoods that make Brooklyn a microcosm of our topsy-turvy and complicated world, the Grado RS1i headphones offer an equally colored and nuanced presentation of whatever they are fed. They may not appeal to those who crave the see-through transparency of the $1,000 Audeze LCD-2s, but there is something inherently special about the RS1i phones that makes them a solid bet for the long haul.